Sometime currency trading prices fluctuate rapidly, and the central banks need to intervene to bring back the stability of the currency. Example of an intervention: If the EUR suddenly drops in value, the central European bank can jump in with an intervention, in order to maintain the stability of the European economy. Intervention is done by vast investment in the currency made by the central bank. You can view interventions as a type of monetary policy that is performed by the central bank, in order to keep currency trading more stable. Let's say that a certain country has a negative factor, such as terrorist attacks. This can point to the fact that the currency trading price is going to drop. In such cases you can speculate on an intervention to take place, which could mean rapid price movements for the near short term. Traders who foresee this as happening can place a currency trading order before the intervention takes place and liquidate it when it subsides. The downside is that such trading is risky and could prove to amount in losses, and this is why the necessary stop orders should also be placed. Interventions are done when currency drops to approximately the same levels as when previous interventions occurred. Sometime interventions are announced, so it is important to stay updated with the latest financial news, especially the ones concerning currency trading. 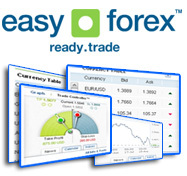 Various currency trading brokers sometimes offer free currency trading material that include the assessment of a nearing currency intervention. When currency interventions occur traders should pinpoint the expected intervention levels, according to previous intervention levels. This will give them the key to figure out the proper timing for placing the entry order. Another important thing you need to do when speculating on intervention levels is to place stop loss and take profit losses in order to protect you from eventual risks. Finally, you should try and use as little leverage as possible, in order to avoid getting the margin call and losing all of your investment in one go.